Pioneers in the industry, we offer departmental paper shredder, office shredders, central office shredders, office shredder and fellowes industrial shredder from India. We can provide state of the art products for all kind of Office Shredders for small office, home office and large corporate. 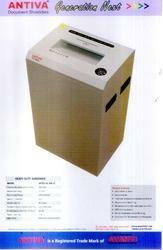 We are engaged in offering Central Office Shredders with manually operated switch. These are manufactured by us using optimum quality raw materials, which are procured from trustworthy vendors of the market. Further, owing to their outstanding attributes, our offered products are widely accepted in both domestic and global market. Our analysts keep strict vigilance at every stage, right from the procuring of raw materials to final dispatch of products. This also ensure that these central office shredders are in sync with the norms laid down by industry. We are one of the prominent organizations involved in manufacturing and exporting optimum quality Office Shredders. These are developed under the assistance of experienced engineers using advance machines and technology. 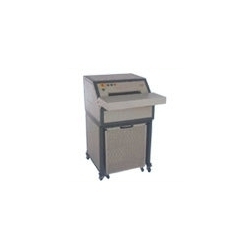 Further, engineered precisely, our shredders are extensively used in various government organizations and corporate offices throughout the world. Owing to our capacious warehouse and well connected transport network, we make sure that bulk orders of the customers are addressed within the shortest possible time frame. With in-depth knowledge of the domain, we have gained competency in manufacturing and exporting Industrial Shredder, which are available with manually On/ Off system. These are developed by our diligent workforce using latest technology and extensively used across various commercial establishments. 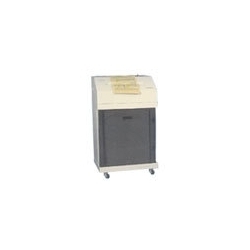 Developed after extensive research, these shredders are known for their features like easy operation, trouble free performance, high speed and sturdy construction. Customers can purchase these from us, at industry leading prices. 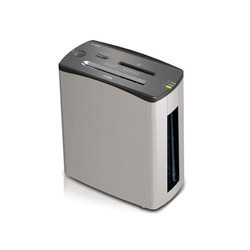 Looking for Office Shredders ?